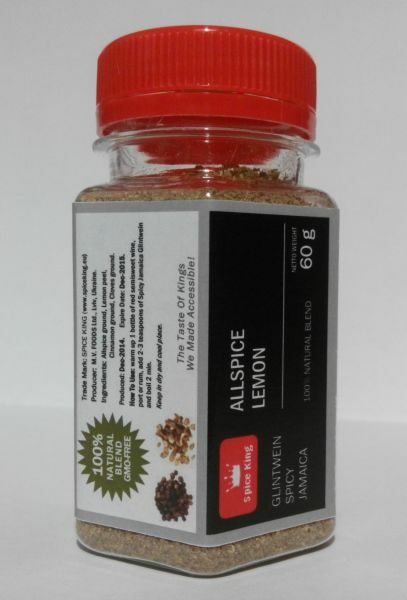 Ingredients: Allspice coarse, Lemon peel, Cinnamon ground, Cloves ground. 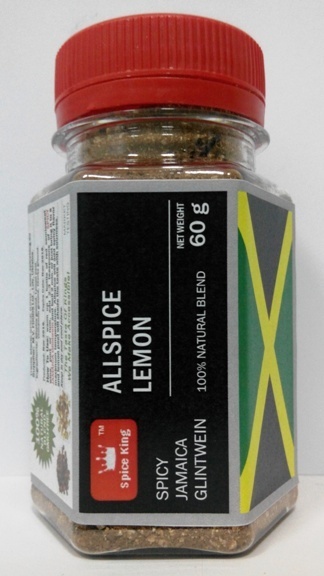 How To Use: warm up 1 bottle of red semisweet wine, port or rum, add 2-3 teaspoons of Spicy Jamaica Glintwein and boil 2 min. 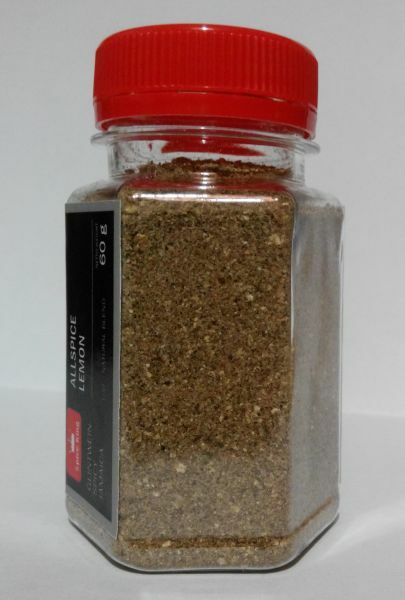 100ml PET jar - 60 grams net weight - USD 1.90/jar.